As soon as I spotted this nail varnish in Boots around Christmas time I knew it would be right up my street. Glitter? Check. Rose gold? Check. Pretty to look at? Check! Say hello to the Maybelline Color Show Brocades Nail Varnish in Knitted Gold. Knitted Gold has a gorgeous subtle gold base with different sized chunky pieces of rose gold coloured glitter running throughout. As nail varnishes go, this is pretty sheer. It takes a good few generous coatings to become opaque on the nails and even then it looks like it could do with a few more layers. It's a very hard to photograph nail varnish which does look patchy in the photos but I promise you it isn't! 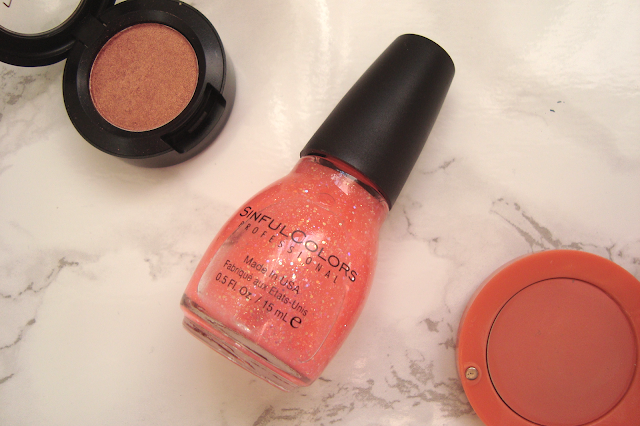 It is a super pretty glitter varnish that is subtle enough to wear during the day without looking too over done. Maybelline Color Show Nail Varnishes are my favourite at the moment. There are so many shades and they bring out different effects every few months or so. I picked up one of their 'leather effect' nail varnishes a while ago which turned out to be the exception to the 'my favourite' rule. I'll do a review on it soon so you can see what I mean but let's just say I wasn't too impressed. A while ago my sister bought me the full sized 100ml bottle of MAC's Fix+ Spray as I kept on pinching hers. I did a quick little review on one of my 'empties' posts after I had used up a travel sized bottle but I'm still a little uncertain about a much loved product. "A soothing moisture mist that refreshes the skin and finishes the make-up. Hold bottle 12" away from the face and spray evenly. Use before or after make-up." First things first, I really like the little twisty nozzle on the lid that ensures it doesn't leak so you don't waste any product. Although a few times I've forgotten to 'unlock' it and have had a few rants and raves about it not working properly. The first time I used this product I didn't hold it 12" away therefore I was left with a very wet face and water marks where my foundation had met the water. The refreshing mist sprays really evenly and light so hopefully, you shouldn't be left with a dripping wet face. I like to spritz two pumps over my face which instantly refreshes my make-up and any cakeyness that was once there should have gone and I should be left with dewy, fresh skin. It's also great to use on top of face powders as it makes the powder look a lot less dry on the face. Now the cynical bit. All that is in the MAC Fix+ Spray is water, vitamins and minerals which does make me think "how can all of those 'basic' things make my make-up look better?" in which case if you knew where to get clear, liquid vitamins and minerals from then you could make it yourself but I'm quite happy at buying MAC's version for now. You could also use this spray for other things such as wetting eyeshadows or diluting other products such as gloopy foundations. Do you ever find that you have so much make-up that it takes you months to get around to using a product? That's what I've found with this MAC Paint Pot. My sister bought it for me for my birthday (over 3 months ago) and I've only just started using it. And boy, am I glad that I did. I am a huge fan of the MAC Paint Pots. Painterly is my holy grail. I wear it pretty much every day. I wear it on it's own, I wear it with liquid eyeliner, I wear it underneath eyeshadow.. I've owned Painterly for nearly two years now and I'm only just halfway through the pot so they are definitely a fantastic value for money. I also adore Groundwork. Groundwork is the perfect mid-brown base, perfect on it's own or underneath other eyeshadows. I could sit and rave about these all day. My sister bought me Stormy Pink. Stormy Pink is a lot less pink than I thought it would be. I have to admit and say I hadn't heard of it before so I wasn't sure what to expect when I opened the box but I was pleasantly surprised at what I pulled out. Stormy Pink is a lovely muted lavender that has a bit of a grey base to it. It's a very pretty shade, one which I like to wear on it's own as an all over flush of colour. I usually apply these MAC Paint Pots with my fingers as I find it much easier than with a brush. The Paint Pots literally last all day. I can apply it in the morning and just know that in the evening it will still be there. The one little niggle that I have with these Paint Pots is the glossy top layer that they start off with. You wipe your finger over it, expecting a creamy, opaque, bold colour and you get a very dry, weak shade. I don't know what's in the top layer but you definitely need to work at it to get the bold colour through. Overall I love MAC Paint Pots and I adore Stormy Pink. It's a shade like no-other and it looks either perfect on it's own or with an eyeshadow applied on top. They're creamy, easy to apply and perfect for those days when you want to wear eyeshadow but can't be bothered faffing about with different brushes. Definitely recommend. I haven't really done nail varnish reviews for a while, simply because I've been really good recently and tried to use up those that I already had. And trust me, I have plenty of choice. At Christmas my sister bought me a couple of nail varnishes and this is the first one - Sinful Colors Nail Varnish in Pinky Glitter. I have to be honest and say I'm not entirely sure I would have picked this shade myself. Purely because I'm not really a 'pink glitter' kinda girl. I used to be but I'm pretty sure I'm entering my 'gothic' stage that I should have endured when I was 14 but better late than never, right?! Pinky Glitter is a warm, hot pink with different sized pieces of holopgraphic glitter throughout, however when applied on the nails the pink is much more muted. This is because the nail varnish is very, very sheer. It's got a kind of sand like texture to it when applied without a top coat but it isn't rough at all and I don't think it would annoy anyone too much. I needed countless layers to get fully opaque covered nails - I think about 6 or 7! The more I used the nail varnish the gloopier it seemed to get which is a bit disappointing but for the price you can't really expect the world. I've been wearing this nail varnish for nearly a week now without a top coat and it hasn't chipped once. Not once! Maybe this is because I used so many layers but let's just hope it's because the nail varnish is really good! Overall I think this is a really pretty nail varnish which will definitely suit the summer months. Whilst it may not be to my personal choice, I can see myself wearing it again - preferably with a tan. I'm pretty sure everyone has heard about this product before and knows what it does but if you don't then boy, you are in for a treat. Some time last year my sister bought Lush's Bubblegum Lip Scrub and I very slowly started using it once a day without her noticing.. Then I started using it twice day.. Then I tried to use it three times a day as, quite frankly, I enjoyed eating it. Then she moved to Leeds and took it with her so she very thoughtfully bought me one for Christmas. "A gentle exfoliator to prime and refine your lips and leave them tasting divine. This sugary perfectly pink polisher keeps lips in tip top condition and tasting of candy floss. Prep your lips with a buff and polish at the start of your make-up routine to ensure your lipstick glides on and stays put. Just apply with a clean finger, and let the exfoliating caster sugar and softening jojoba oil scrub away dead skin and infuse moisture to rejuvenate your smile." The Lush Bubblegum Lip Scrub comes in a cute little 25g pot which is the perfect size to carry around with you. I know some people may find it tricky with the 'finger in pot' thing so if you have some troubles with the hygiene side of this product then it may not be for you in that instance. If you read my blog a lot you'll know that I get really dry, chapped lips and this product is quite literally a life saver. You just needed a tiny bit of the scrub on your finger, rub it in and your lips should be buffed and moisturised. As long as you keep using this little pot of beauty, dry, chapped lips should be a thing of the past. Lush's Bubblegum Lip Scrub is also the perfect product to use to prep and prime before applying lipstick. I know some lipsticks don't show up dry areas on the lips but if they do then this product is great to use beforehand to ensure that your lipstick will be looking the best it can be. I literally adore this lip scrub and can't rave about it enough but let's look at it from a cynical point of view. The majority of the ingredients in it are caster sugar, organic jojoba oil, a flavour and colourings. Take away the flavour and the colourings, it is essentially sugar and oil which you could make yourself but in all honesty, will it be as nice as the Lush version? Will it be a pretty pink, taste like bubblegum and smell amazing? Probably not. Up until recently I've been quite lucky with my skin. I never used to get spots or dark circles therefore I used to keep my base make-up to a minimum: a green concealer to counteract red tones of the skin with a thin layer of foundation on top. Sadly that's had to change as my skin has changed rather dramatically. I can't work out why this is - I haven't started using any new skincare products or changed my lifestyle and yet, hello spotty face. Hello dark circles. I've only ever purchased one concealer before and that was the ELF Tone Correcting Concealer which I really enjoyed using on spots and blemishes as it covered them perfectly so when I rifled through my make-up bag to find it I saw that it had dried out and quite right too as it's been a while since I last used it. So I was in (desperate) need of an inexpensive concealer and ended up buying the Natural Collection Cover-Up Cream in the shade Fair. It's worth noting that Natural Collection only make their Cover-Up Creams in two shades - Fair and Medium so you might find that these concealers don't completely match your skintone. "Easy to blend cream concealer to cover spots, blemishes and under-eye eyeshadows." The packaging to the Natural Collection Cover-Up Cream is like that of the ELF Tone Correcting Concealer - both come in a clear tube with a doe foot wand inside as an applicator. The doe foot wand makes application very easy. You don't need to worry about germs from putting your fingers into a pot of concealer, you just dot it onto your face and blend in with a concealer brush or your fingers. I found the consistency of this concealer to be a little watery but once I had given the bottle a shake it come out much creamier and much more blendable. The one real con to this product is the shades. I am very, very pale and even though this was the lightest shade I found it to be very orange on my skin. Because of this I had to apply it underneath my foundation which looked a hell of a lot better than when it was applied on top. The Cover-Up Cream seemed to cover-up my blemishes and dark circles really well. The dark circles under my eyes faded completely when applied underneath my foundation and my spots and blemishes were no longer visible so job well done! I also found that it didn't crease like some concealers do. I applied this in the morning and by 8PM it was still in exactly the same place which is wonderful although this may be due to applying it underneath my foundation, I'm not so sure. I definitely wouldn't use this on top of my foundation though. Because of the limited shades available it seems to draw more attention to my blemishes rather than hide them but that is purely down to my paleness. As budget concealers go this is a pretty good one. It's very inexpensive and because of this you can't expect the world but it does what it sets out to do and it does the job well. For the price and the 8ml's of product it is definitely worth the money but the limited shades is definitely a problem and puts a downer on an otherwise fairly good product. Yesterday I was googling photos of Kylie Jenner, aka my style crush, as you do when I suddenly started craving a really deep, dark red matte lipstick. I had a little think about my current lipstick stash and wondered if I had anything similiar...nope. Not yet, anyway. I ended up going through my little 'to review' box and pulled out this, the ELF Lipstick in Fearless. It wasn't the deep, matte lipstick that I was craving but as I've loved the previous ELF Lipsticks I've tried, I decided to give this one a go too. "Indulge your lips with long lasting colour and shine. The moisture rich formula hydrates, conditions and softens on contact for silky smooth lips." Like ELF's other lipsticks, this is encased in really standard, plastic packaging. For the price of the product you can't really expect the world but as soon as I tore the cardboard off from around the lipstick everything fell out and the lid fell off, causing the lipstick to drop onto the floor, product first. It's nothing too dramatic but it's worth noting. I'd rather the product was the best it could be for the price rather than the packaging being ultra fancy but it would be nice for it not to all fall out so easily. Fearless is a true fire engine red. It is so opaque and creamy to apply, it completely takes the fear factor out of wearing red lipstick. I didn't prep the lips beforehand: instead I just slicked it on then rubbed it in a little as I'm a little cack handed when it comes to the corners of my mouth. Blot, then wa-la, you are done. I didn't need to use a lip liner although I think I might do next time as I find it a little hard applying red lipstick. I think if I had a guide then I would be much more precise when applying. I found that Fearless didn't show up any dry areas on the lips either and it left my lips feeling really soft and moisturised. Fearless stayed put all day, with only minor wear from eating and drinking. I really think that for the price of the lipstick it is an excellent value for money. I literally could not have asked for an easier red lipstick to use and this is definitely a good lipstick to start with if you want to ease yourself in to wearing a bold shade. It leaves the lips feeling so, so soft and moisturised and it is super easy to apply. I really recommend ELF's Lipsticks and for £1.50 you really can't beat them. 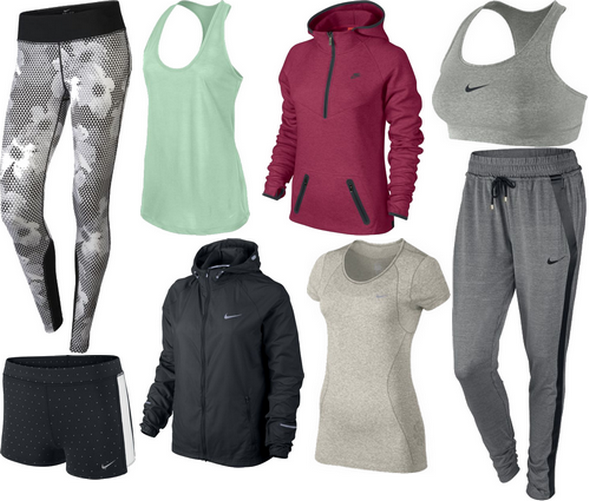 I've been shopping! Hooray! Last week my friends and I went to New Look for a look around and I left the shop with this lovely, floral top. It caught my eye on a rail and I kind of knew that I would end up buying it. It's a very 'me' top. It's loose fitting, boxy and has a very cute print on it. The New Look website describes this top as a crop top but I don't think it is. It ends just below the hips on me but I did buy a size up as I liked it loose fitting so maybe it will be cropped on others. It is such a lovely top, one which I will definitely be wearing to death in spring/summer! 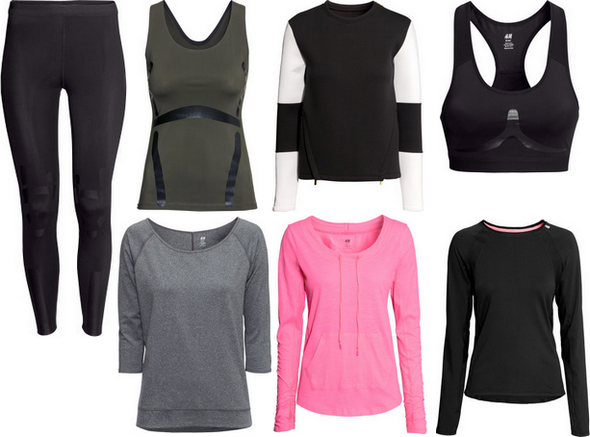 At the moment I'm wearing it with River Island's Tube Pants and some Primark Biker Boots but in the summer I think it would look great with shorts and sandals. I'm very particular when it comes to perfumes. I dislike heavy, sweet scents, favouring light, fresh scents instead. There's a reason behind this. When I was younger I used to love sweet scents and I would spray Mary-Kate and Ashley's perfume quite generously on my person but after a while I started to realise that the strange, heavy, sweet scent which seemed to linger around me was in fact me and it got so bad that it started to make me feel a little sick so I had to wave a fond farewell to the Olsen twins and Versace's Red Perfume, another scent which is very generous with it's sweet notes. Now I smell of lovely, light, fresh scents in the day with deeper, stronger scents saved for the evening. At Christmas my Mum bought me the Ghost by Ghost Eau de Toilette and if you, like me, like light scents then this one will definitely be for you. First things first, the packaging. It's a very simple, classic packaging which is a great way to describe the scent inside. The bottle is slim, frosted and very slick. It's unusual to see simple perfume bottles these days but I like it. Plus, it would look nice on your dressing table. Ghost by Ghost is described by Fragrantica as being a fruity, floral fragrance for women. The top notes are rose and jasmine: the middle notes are amber, vanilla and peach and the base notes are sandalwood and musk. I'm not sure how to describe it but it's so fruity and floral smelling with a hint of sweetness but without being sickly sweet. I've worn it for a few days now and each time I've worn it I've been complimented on it. It's girlie without being too much and is definitely a scent for those who don't like overpowering scents like myself. I've found that it lasts a good few hours on me but everyone is different. Also, perfumes don't smell nice on everyone so it's definitely worth spritzing it on yourself if you see it in a shop before purchasing, just in case it's not to your tastes. I definitely think this perfume is one for every generation. My Mum bought this perfume for an Aunt of mine many years ago and I'm pretty sure she loved the smell just as much as I do. It's dreamy without being too youthful, in which case I would probably buy this for my Mum for her birthday as she mentioned she liked it too. 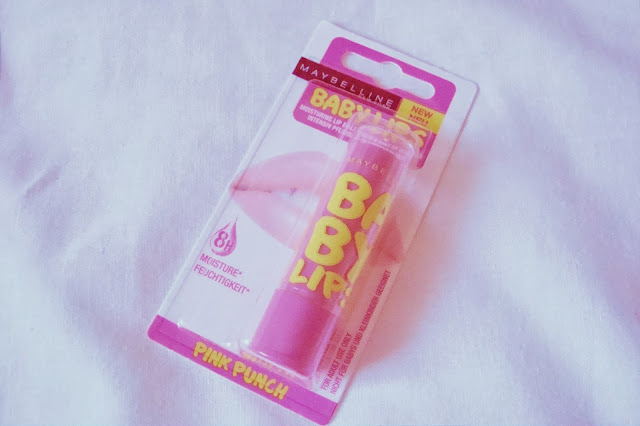 I know the Maybelline Baby Lips products have been reviewed to death but as I like them so much I decided to force my opinions of them upon all of you as well. Maybelline Baby Lips are a hybrid of a lipstick and a lip balm so you can achieve a coloured lip which moisturises too. Last time I reviewed the corally shade in Peach Kiss (review here) which I really liked but I found that the colour didn't show up too well on my lips. Luckily, Pink Punch delivers much, much more. Pink Punch is a very pretty baby pink lip balm which has a very subtle shimmer to it. It's also blue based so it helps make teeth appear whiter. (Every little helps!) It's the perfect every day colour, a shade that you can apply in a hurry without worrying about it clashing with your outfit or the rest of your make-up. I also think it's the sort of shade that will suit most people. Like Peach Kiss, Pink Punch applies effortlessly and doesn't show up any dry areas on the lips which is perfect, especially during the winter months. It leaves the lips feeling incredibly soft and nourished, especially after sporting horrible chapped lips. 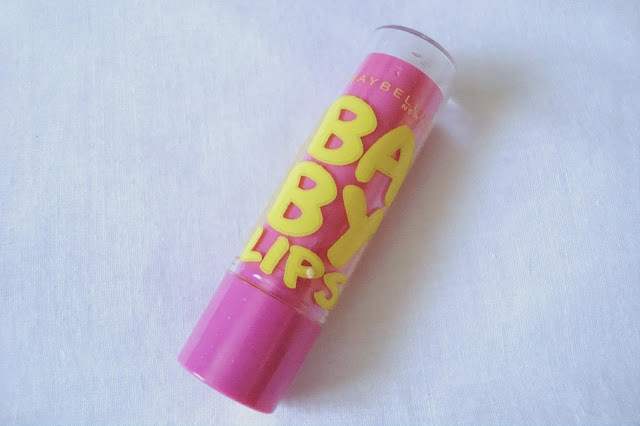 These Baby Lips lip balms are also perfect for the summer as not only are they a lighter alternative to lipsticks but they also have an SPF 20 in them - protecting the lips all year round! I do prefer matte lipsticks therefore having a glossy lip balm on the lips was a bit alien to me and I did find that I kept on getting my hair stuck to them like a lip gloss but as it is such a pretty colour and so moisturising, I'm willing to let that go! Oh, and they smell AMAZING too. Maybelline Baby Lips are a great alternative to lipsticks that are super moisturising and leaves the lips feeling really soft. 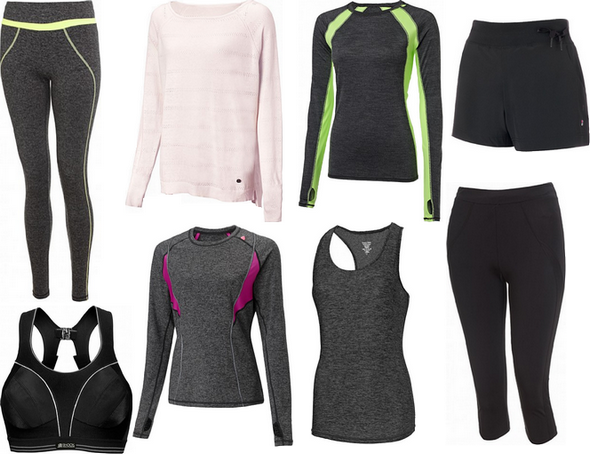 Avaliable in 5 different varieties, you are bound to find one that will suit you! 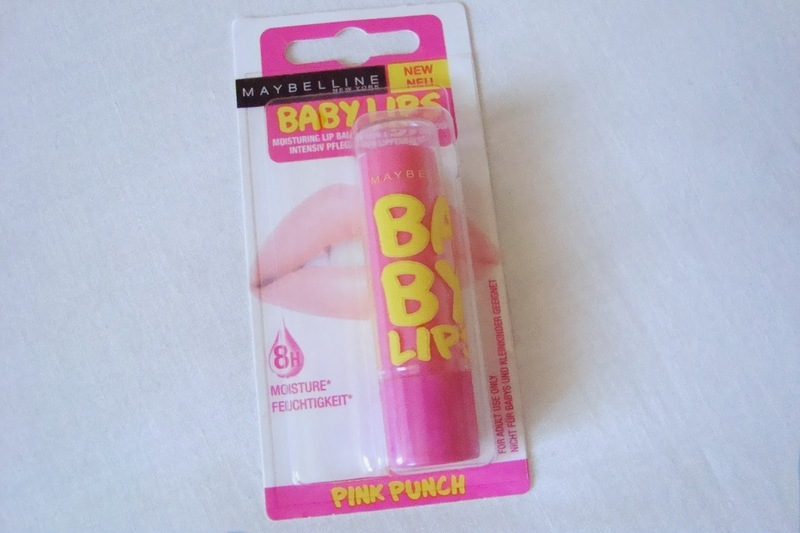 You can buy Maybelline's Baby Lips from Boots in store or online here for £2.99.